Official merchandise. A great product at a great price. 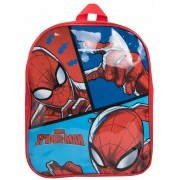 These set comprise of a metal fork and spoon with various character logos and images of Spiderman to the handle. They are ideal for children who are just learning to eat with cutlery and they also make a perfect gift idea. Please note you can not use these in the microwave and they are not dishwasher friendly.